The course designed to give you the ability of scientific thinking and research capabilities to fulfill your scientific research and to develop your dissertation. Perhaps the course will turn you into a researcher. At least, the course will give you a broader, more solid conception of the place of your degree/research within the varied spectrum of management science. It is presumed that your Quantitative Analysis course introduced you to the ‘how’ of several statistical analysis techniques. Research Methods will focus on the ‘when’ and ‘why’ of these techniques, and introduce additional quantitative methods. You will gain confidence about the process of completing your dissertation. 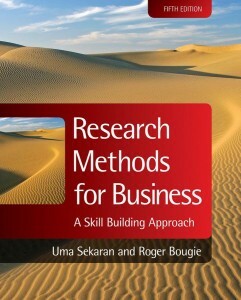 Understands and apply the scientific method of research and investigations. 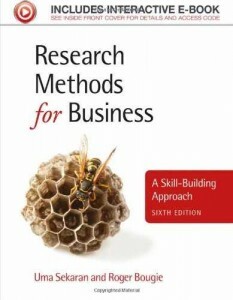 Design and develop applied/theoretical forms of research process. Develops an appropriate research question/problem. Defends a hypotheses/proposition utilizing appropriate sources of support. Understands and develop literature review process. Understands and develop data collection and analysis techniques. Generates and apply an appropriate statistical plan to support hypotheses/proposition. Demonstrates dissertation/scholarly writing style following the current APA Style manual. The course will move you toward fulfillment of the publication and dissertation requirements of postgraduate studies. Identify the framework for strategic analysis, using analytical models for strategic marketing decisions (SWOT, BCG, GE, Porter, Ansoff, …), Integrating results in company’s plan. To introduce the six steps of marketing research. To understand the importance, necessity, and methodology of problem solving & definition. Designs and Methodologies; exploratory and descriptive research. To learn how to prepare data, analyze and report it. Explain the fundamentals and use of Marketing Research. Identify the use of exploratory and descriptive research. Show how to collect data and analyze it. Develop and understanding of today’s global and local market place and the role that marketing plays in both that will give students a general background and introduction to the field of marketing. Develop and understanding of the meaning of marketing, its components, which will enable students to comprehend and simulate important marketing processes. Comprehend and analyze the factors affecting marketer’s decisions and the components of the marketing environment to enable students to take part in marketing decision –making. Identify the importance of marketing and outline the marketing process. Distinguish between different strategies for growth and downsizing. Explain the factors that influence marketing environment. State the phases of the marketing research process. 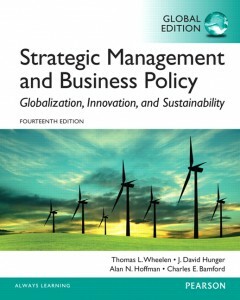 Analyze the strategic business units in the firm. Analyze the fundamentals of the marketing strategy and program. Analyze and criticize marketing decisions. Design a project to link academic concepts with practical experience. Collect and gather information from face to face interaction with executive officers or other external sources.